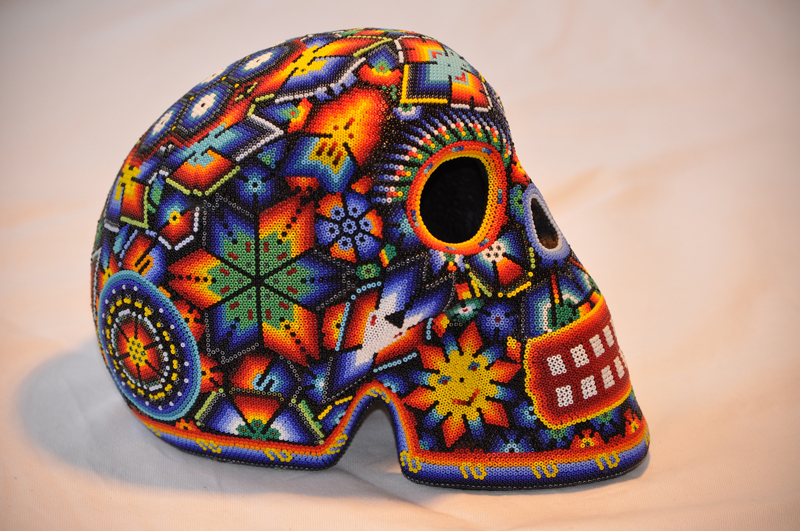 The Huichol are amongst the few indigenous peoples of Mexico that have preserved their way of life and culture over hundreds of years, far away from civilisation in the remoteness of the Sierra Madre mountains. 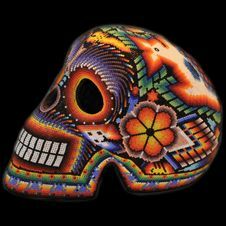 Symbolic of their culture are their numerous rituals and ceremonies during which they often rely on the Peyote cacti fruit, to put them into a trance-like state. 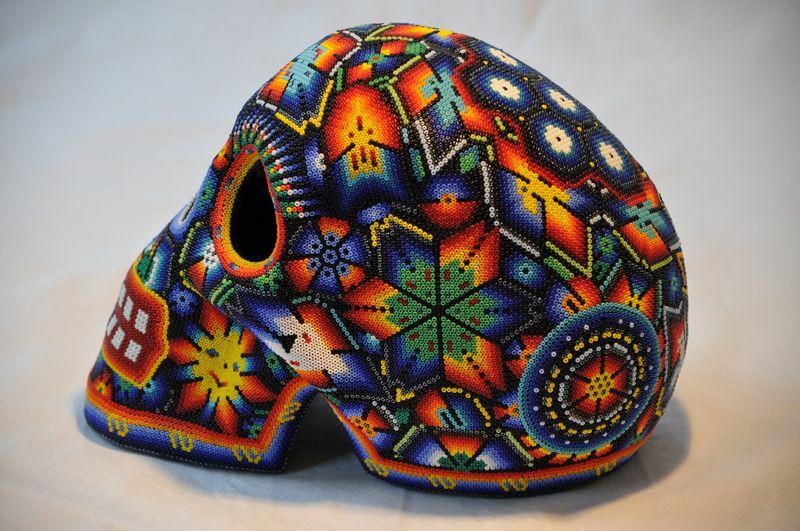 The creativity of the Huichol manifests itself within their psychedelic artefacts that have been carved from wood and decorated with filigree glass pearls. Every piece depicts an individual creation in a colourful pattern which is created in supberb craftsmanship over many weeks. 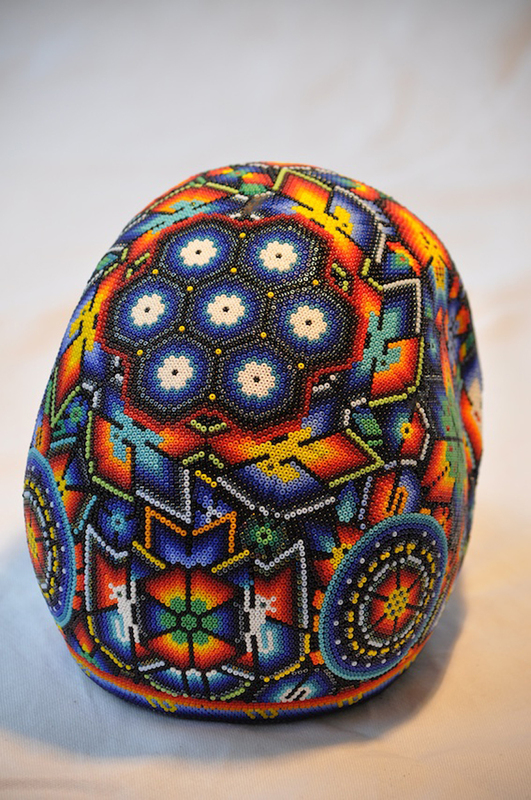 Due to such excellent craftsmanship, and their unique nature, Huichol artefacts have long been a part of many private art collections and those of renowned museums. 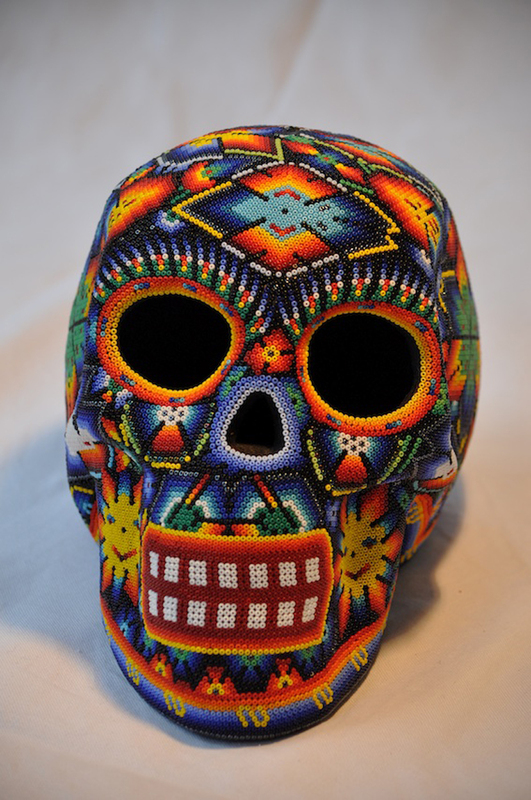 Mexican culture and folk art was an inspiration for Frida Kahlo and Diego Rivera, who have influenced modern art in the 20th Century far beyond Mexican borders. For the first time, these valuable cultural assets will be distributed in Europe by Scheublein Fine Art. 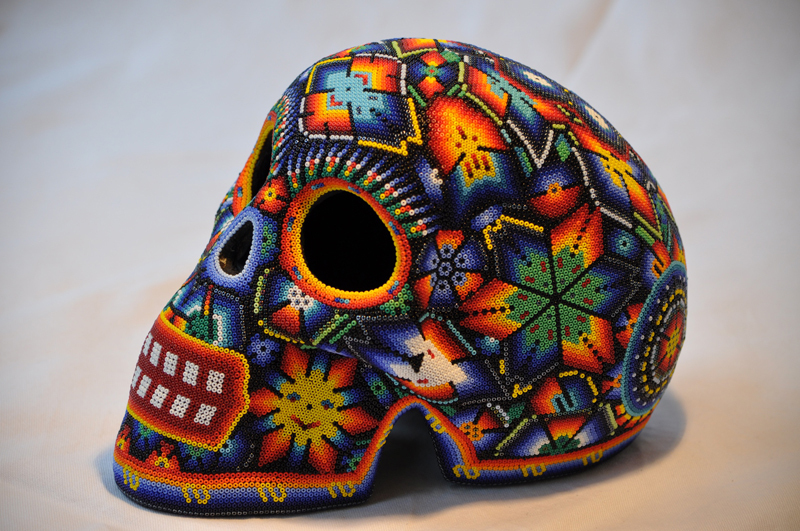 Every object is unique and certified as genuine by a select Mexican expert.